Award-winning, Songwriter worshiper, Derin Bello, drops her Christmas single and music video. Trust us when we say this single is HOT and is a must for every Christmas playlist. The Canadian based artist does not fail in delivering a track that engages you with its lyrics, melody, and sound. The track titled, A Merry Christmas to You, and produced by Andrew Horrocks, paints us a picture of what is, and what should truly be the reason for Christmas. The song illustrates the joy of the season while reminding listeners to keep that joy in their hearts, even after Christmas. The release is accompanied by a music video, directed by Toronto’s top talent video producer, Seed Visuals. Other award-winning and popular tracks from this artist include Yahweh, Wonderland, But Your Praise and Go Loud. 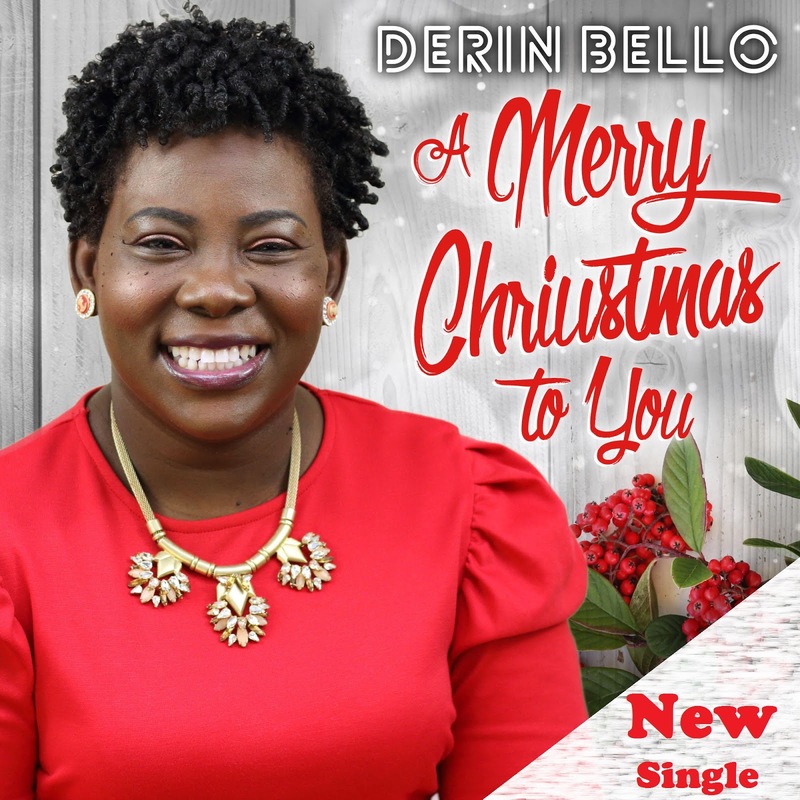 Derin Bello is a songwriter, worshipper and considers it such great privilege to be a part of the great worship movement in this generation. A soulful singer, her varied background, and exposure have helped shape her into a versatile artist. Her latest project “The Truth of the Matter” was released late 2015. The track “But Your Praise” won the Covenant award for Gospel song of the year at the 37th Annual awards ceremony. Wonderland is the latest single release from this Album. She is passionate about promoting unity in the body of Christ and also supporting growth in people’ lives. She actively works with young adults in her community and is a Compassion Canada Music Ambassador. She is married to Niyi Bello, Pastor Faith Revolution Church Toronto, with 3 kids and supports her husband in the ministry. Her heart is in the song and the message that is being shared. She believes that with simplicity and sincerity, we can create a fragrance of Christ with our words and music.